Oxidative stress and lens cataract-where are we now? As the world’s population ages, age related nuclear (ARN) cataract has grown to epidemic proportions, placing severe pressures on global and local health systems. Since the initiation of lens cataract is strongly associated with oxidative damage, the use of antioxidants has been advocated as a strategy to slow the progression of lens cataract. However, studies into their efficacy have produced mixed results due to a lack of fundamental knowledge on the processes via which antioxidants accumulate in the lens and the specific cellular mechanisms by which oxidative damage initiates the distinctly different damage phenotypes associated with various categories of lens cataract. The team of Dr Julie Lim from the University of Auckland, New Zealand has addressed this knowledge gap by studying the natural lens antioxidant glutathione (GSH) which is significantly depleted during cataractogenesis. 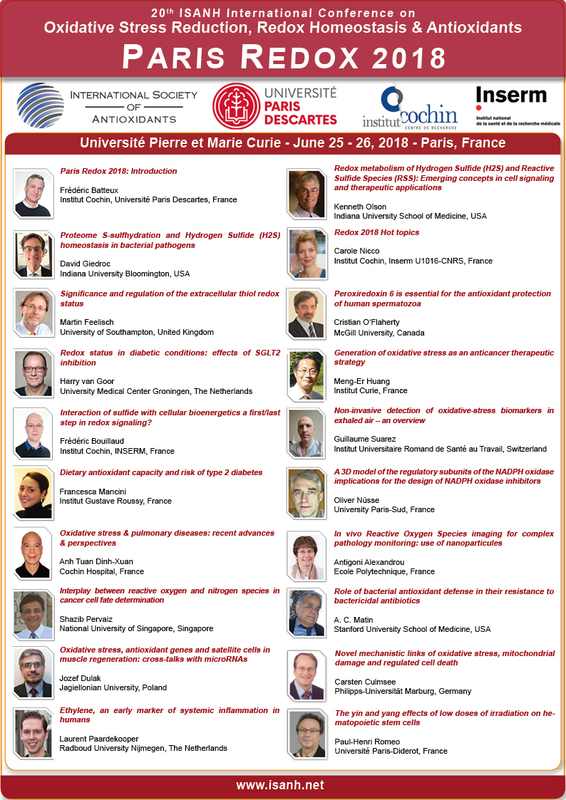 During Paris Redox 2017, Dr Lim will present research on the identification of molecular mechanisms used by the lens to accumulate GSH as well as the development of new animal models that mimic the cataractogenenic process and may therefore be useful in the testing of interventions to delay the onset of cataracts. Dr Lim was awarded by the scientific committee of Paris Redox 2015 for her short oral presentation. To know more about this award, please click here.